Nicole Rose of Discover Nature has a unique Nature Explore Classroom, situated on 120 acres of preserved farmland at Antler Ridge Wildlife Sanctuary. This beautiful land is the backdrop of a hands-on nature program. 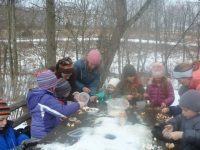 Discover Nature Workshops have a maximum capacity of 8 children per session. 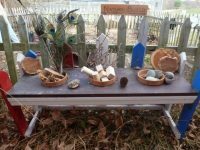 This allows each child to take their time to explore, ask questions and be free in nature. 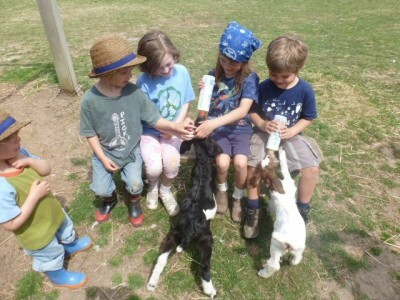 The children have access to the land, the barnyard animals and educational animals with Nicole as their guide. The expansive space includes hiking trails and open spaces and fields, in addition to the designated areas in the Nature Explore Classroom. This allows everyone to run, play, climb, make music, create and explore. Areas are marked with wooden and slate signs, some of which the children made. The outdoor classroom offers a full nature experience with its open layout of land. 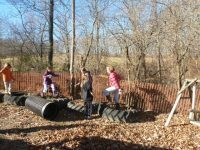 Nicole and her group hike through many acres of conservation fields, trails, streams, vernal pools and rolling hills which are specifically designated as Discover Nature areas. 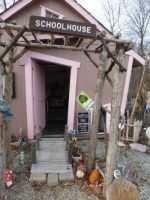 The children are out in nature almost all of the time, but in the event of inclement weather, the school house building has one side that completely opens to the outdoors. This provides protections from the elements if needed. 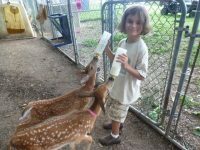 The children make and care for many outdoor and indoor projects. There is an ever changing collection of natural items on the shelves that include items such as abandoned bee and bird nests, skulls, snake skins, feathers, and exoskeletons. The floor of the schoolhouse are covered with upcycled rubber flooring which is perfect for all the mud and dirt tracked around. Areas designated for the Discover Nature site were driven by child led interests. Nicole and the children are continually exploring, creating and spending time in the outdoors. 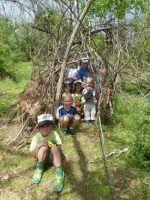 Antler Ridge Wildlife Sanctuary and Discover Nature host family events each Earth Day and Arbor Day in addition to offering many other opportunities for families to become involved in education and conservation efforts year round. Brochures and flyers are available to inform the public of opportunities to participate in programs.